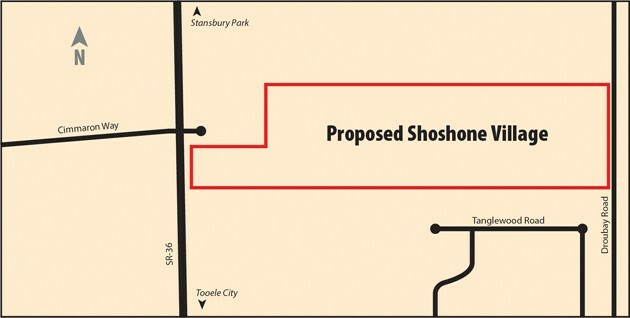 The photo above shows the location of the proposed Shoshone Village development. 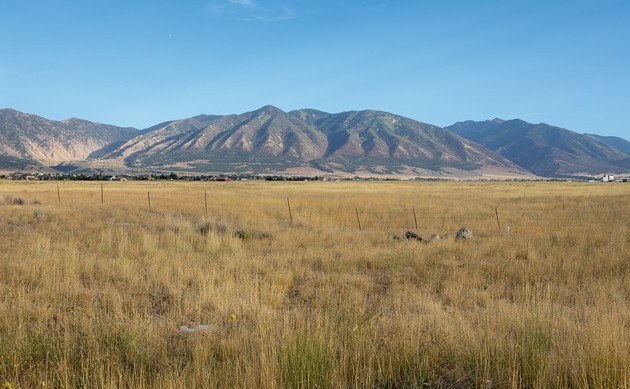 The 12 people who spoke at a public hearing Tuesday night for a proposed development in Erda made it clear they oppose the project that includes 174 one-third acre residential lots. 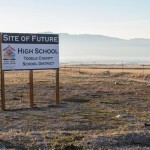 The agenda for Tuesday night’s Tooele County Commission meeting included a public hearing and potential action on a development agreement for Shoshone Village, a 131-acre mixed-use development in Erda, east of Cimmarron Way between state Route 36 and Droubay Road. Due to a miscommunication, the county’s planners were not present at the county commission meeting to give a staff report on the project, but County Commission Chairman Wade Bitner went ahead with the public hearing as advertised. Leanne Bedell was one of the Erda residents who spoke against the development. The concept plan for Shoshone Village shows 8.9 acres of commercial retail property adjacent to SR-36. Land east of the commercial property, which runs to Droubay Road, shows 174 lots of approximately one-third acre in size. 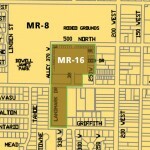 The residential neighborhood includes two parks, one that would be 1.3 acres. The second park would be approximately 8 acres. The county’s zoning map shows the property to be currently zoned as a combination of commercial general and rural residential with five-acre minimum lot size. Shoshone Village’s developer, BRK & H, LLC, is a Salt Lake City-based company that lists Val Staker and Jay Hardwood as managers in their registration with the Utah Department of Commerce. BRK & H requested approval of a development agreement by the county commission to “provide the developer with the desired assurances to move forward with the design and development of the project,” according to the proposed development agreement. Development agreements are a legislative item approved by the county’s legislative body, which is the county commission. Development agreements are not required to be reviewed by the planning commission prior to action by the county commission. The approval of the higher density of 0.33 acres per unit is in exchange for the developer bearing the cost to design and construct sewer and water system facilities, according to the proposed development agreement. The proposed agreement allows for developer to collect reimbursement from other property owners or future developers who connect to the water and sewer system constructed by the developer. While speaking in opposition to the proposed development agreement, the speakers expressed concerns about a declining water table in Erda, preservation of Erda’s rural character, compliance with the county’s general plan, increased traffic on local roads, and the character of people attracted to high-density developments. Tonya Ruben, who built a house in Erda in 1994, was concerned about the impact of the development on Erda’s groundwater supply. Scott Droubay, who farms the land north of the proposed development, said he wants the county to stay with the plan for Erda. Robert Scott lives in Tooele, but he expressed his concerns with the development in Erda. The county commissioners decided to place the Shoshone Village development agreement on their Sept 25 agenda, along with a staff report and possibly another public hearing.